It warms my heart for Nintendo’s new IP to be accepted with open arms by the online community. With so many games coming out to scrutiny, it’s refreshing to see people acknowledge when an actual good game comes out. That being said, I’ve noticed some people were having trouble with the multiplayer, but fear not, here are 10 Splatoon tips that will almost guarantee victory! The motion controls are the default setting in this game, and they are really bad. If you want to get far in this game, the second you can you should go into your settings and turn motion controls off. This game is much more fun when you don’t have to wiggle the gamepad to aim. There’s no voice chat in this game, which makes it impossible to strategize with your teammates, so the map is really useful. Before you head anywhere, always take a glance at the map on your gamepad to see if any of your teammates are there already. If the answer is no and it’s not hounded by the opposing team, head there. If the answer is yes and your teammate has it under control, then try a different area of the map. This makes it so more ground is inked at a quicker rate. Beginners tend to have the most fun with the rollers in the game because they are so much different than any other weapon in a shooter, but don’t be fooled by their fun factor. Yes, the rollers are a very satisfying weapon to use, but they give you less points for ground covered compared to a gun. So, unless you know how to be faster than everyone else and avoid the other team, I would highly suggest staying away from the rollers. Personally, as far as guns go I’d recommend whatever guns have the best firing rate or range. It took me a bit longer than I’d like to admit to notice that the different shirts, hats, and shoes you wear give you different perks. Perks can range from a faster swimming speed to making your special bar fill up faster. So look cool, but also make sure that your clothes give you perks that suit your fancy. Before you decide what weapons you want to buy, make sure you test them in the shop. Not every gun or roller is for everyone, and you should make sure the weapon fits your personal play style before you spend more of your in-game money. This step is really self explanatory, but it’s one of the easiest mistakes to make. Walls do not give you points, nor do they count for territory covered. So, keep your focus on the ground around you. This game is fast paced, don’t take your time filling out every nook and cranny. Only if you’re in the lead during the last 20-10 seconds should you go back and fill out small open spaces within the ink you already sprayed. The rest of the match, move as fast as you can while shooting as much as you can. Like I mentioned in Step 2, there is no voice chat in this game. That doesn’t really effect a lot of players, since many people play multiplayer games without chat on anyway. But, because there’s no voice chat you have to observe what your teammates are doing. If your fellow players are going one way, make sure you don’t follow them. You’ll cover more ground and gain more points if you go on separate paths. The primary goal of the game is to ink the ground, but there is a secondary goal of getting rid of the opposing team when they get in your way. It does take a little time to really get good at it, but the next step will help you train. 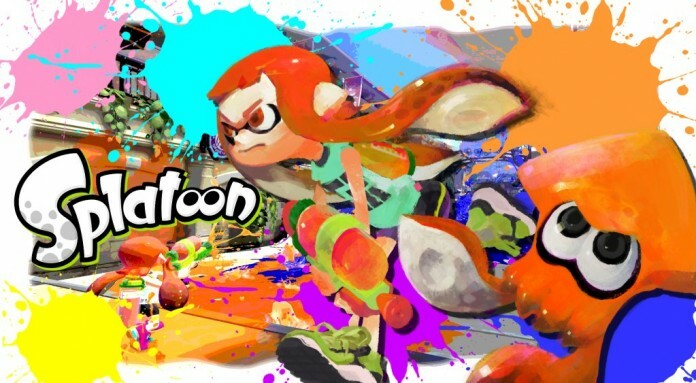 There is a story mode in Splatoon, and it shouldn’t be ignored. It plays like a reverse Super Mario Sunshine mixed with Tony Hawk’s Pro Skater. If that didn’t sell you, just trust me when I say it’s worth it just to get to the amazing final boss. This mode also helps train for multiplayer, so use it to hone in your sweet squid skills. It’s very short, I beat it in about 3-4 hours, but it’s a lot of fun and strangely addicting. So that’s it! Practice up, ladies and gentleman and I hope to see you in the arena soon! And as always…. Stay Fresh! Previous articleCan there Be Winners and Losers at E3?